The regular reading of significant amounts of Scripture is essential to your prayer life. In order to develop powerful biblical prayer, join your prayers to the promises of God’s Word. “Consequently, faith comes from hearing the message, and the message is heard through the word about Christ.” (Romans 10:17). Spend daily time reading and meditating on God’s Word. Read through the entire Bible at least once each year. Invest in a practical study Bible. After your Bible reading, write down key insights that God speaks to your heart. Pray with an attitude of authority and confidence through the name of Jesus. We are to come in Jesus’ name, confident He forgives, knowing He invited us to pray big prayers—(John 14:13-14), “And whatsoever ye shall ask in my name, that will I do, that the Father may be glorified in the Son. If ye shall ask any thing in my name, I will do it”. Spend quality time allowing God to search you so you are freshly cleansed from every sin or hindrance. It is vital that your confession and repentance be thorough. Don’t rush through your confession time in a brief or casual manner. (Proverbs 28:13), “He that covereth his sins shall not prosper; but whoso confesseth and forsaketh them shall have mercy.” Ask God to forgive you of the sins of which He has made you aware. Ask Him to reveal to you through His Spirit other sins that you may be committing and then confess those sins. “Do not get drunk on wine, which leads to debauchery. Instead, be filled with the Spirit,” (Ephesians 5:18). In order to pray in power we must have the fullness of God’s Spirit. (Romans 8:26), “Likewise the Spirit also helpeth our infirmities; for we know not what we should pray for as we ought; but the Spirit Himself, maketh intercession for us with groanings which cannot be uttered.” Pray that God will fill you with His Spirit. There is a story of a mother who prayed for her estranged son to return home, or at least let her know where he was. Then one day her son was saved, gave up his wayward life and returned home. Little did this mother know that her son did not really need to return home, but what he needed was the Lord. All along she was praying for her son’s return because that is what she wanted. God wanted her son to be saved. Pray that God will show you what you ought to pray; rather, than what you think you should pray. 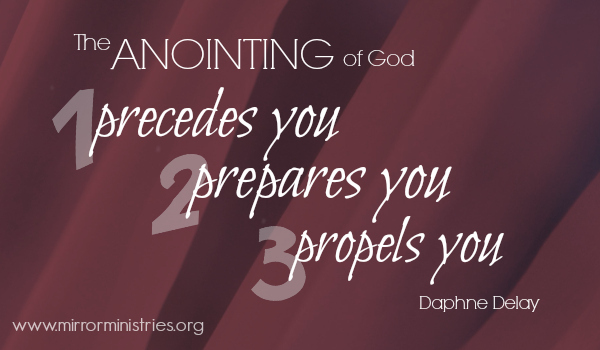 Determine to pray in genuine faith and expectancy. Ask God to prevent the influence of Satan in yourself and in the subjects for which you pray. Entering a serious time of prayer is like a soldier entering the battlefield. Be sure your armor is on! (Ephesians 6:11) “Put on the whole armor of God, that ye may be able to stand against the wiles of the devil.” Prayer is not just how we prepare for spiritual battle, prayer is the battle. Ask God for the spirit of fervency in your praying. “The effectual fervent prayer of a righteous man availeth much” (James 5:16). In your praying be as specific as possible. Learn to pray the very Word of God. Ask God to give you very specific requests that are Scripture-based. Concerning your key prayer requests, seek to find committed partners who will agree with you in united prayer. There is special power when believers unite in specific prayers of faith. Every great revival and spiritual awakening was born from intense, united prayer.